Copyright Act of 2015. Powered by Blogger. 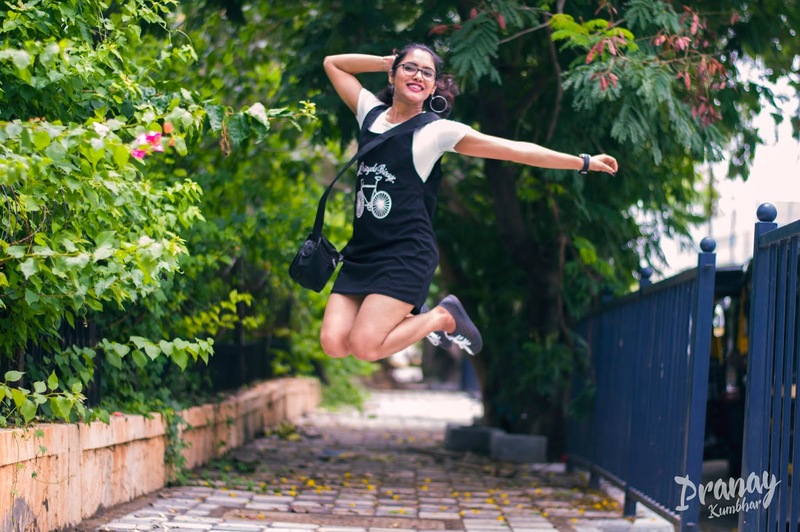 Fashion bring confidence to your overall personality and for that just stay updated about the outfits that can be carried easily in simplest ways. Here are few ideas for every particular outfit in detail. You can easily try these appropriate styles whenever in need. Be ready to get transformed within the pace of trends that keeps on changing. Enjoy my blog. Have a nice day. The first picture looks like I am very excited about the monsoon blog post 2018. 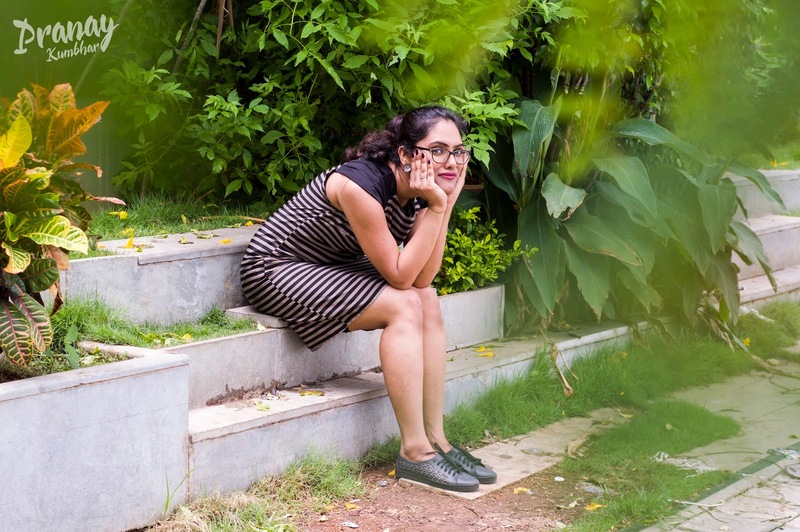 So today my blog post is filled with four casual outfits that absolutely works for monsoon days. 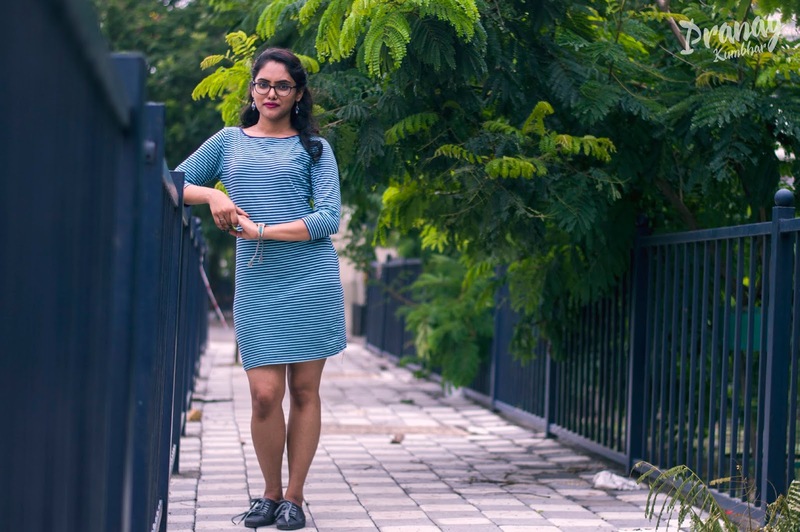 However, I find these casual dresses are perfect for hangout on weekends with friends for a cup of coffee or tea or for stroll of walk at parks and garden, theatre, bites of street food and endless places that we keep hovering around. For its been a tiring day, but productive too with continuous outfits been changed for every click in this post. 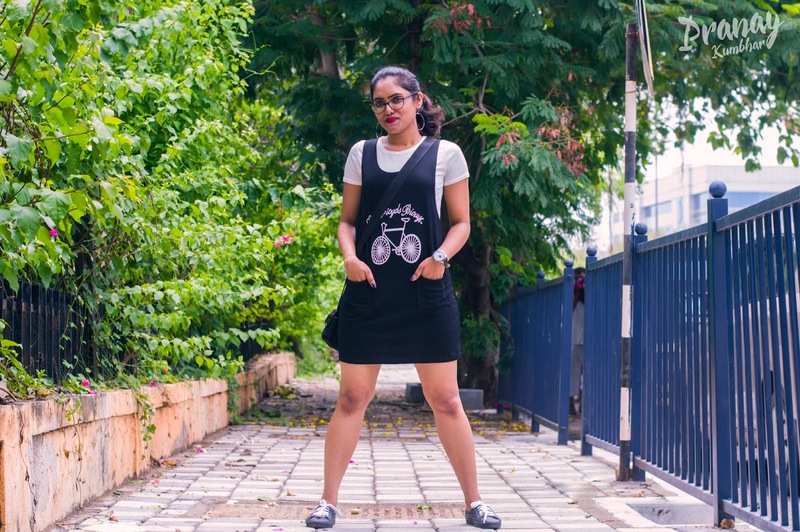 The above picture shows out my enthusiasm of wearing the white short top with a black long sleeveless dress, which has print at the center that says - Gool Bicyds Biouyt. I don't know what does that mean, but I still like it the way it is. Alot of you might be disappointed with the picture clarity, but I couldn't stop posting and this is the best the photographer could come up. I appreciate what he tried capturing. Hope you too like it. I like the two pockets and its a wonderful stretchable cloth material what it is made out of. It's not just a cotton cloth pattern, but a kind of material that will not fade out the color even. Apart from my outfit I sum up my style with a nice pair of rainy footwear inserted with a white lace and a metallic hoop earrings. I prefer buying things with multi-purpose usage, but you can try out some other accessory than the sling bag that I am carrying in this picture. For me these types of bag goes well for my monsoon funky look with lots of tiny pockets.You can prefer something better that these accessories. While the second picture of my dress of silk material cloth with simple black and seaweed green strip or pickle green strip you can assume. The best think about this dress is that I can carry in a casual way as well as in a semi-formal style too. It's pretty fun to wear your clothes in multiple fascinating way. Yes! Go girl go, go check your wardrobe and find your dress. This one is from a brand called Dotti. Quite of you might be already pretty aware about it. Yes! do checkout their outfit because I am sure you will love it or probably this is the brand that you were looking for. And here's another bodycon casual striped dress of sky blue and navy lined color. I think I am crazy about striped outfits. If you are a Mumbaikar or Mumbai residential I am sure you are aware of these places filled with shopping hub like Hill Road and Link Road of Bandra. If you haven't visited yet do visit these two streets filled with trending fashion. I would say it's a perfect low cost shopping sight where you get to bargain. If you know how to lessen the cost of price given by the seller, then go for it. So, all the best! Also, in addition, I have added hippie style earrings of almond shape, and a rainy pair with gray color lace. You may try something better than me. Again a dress of silk pattern with stripes too. 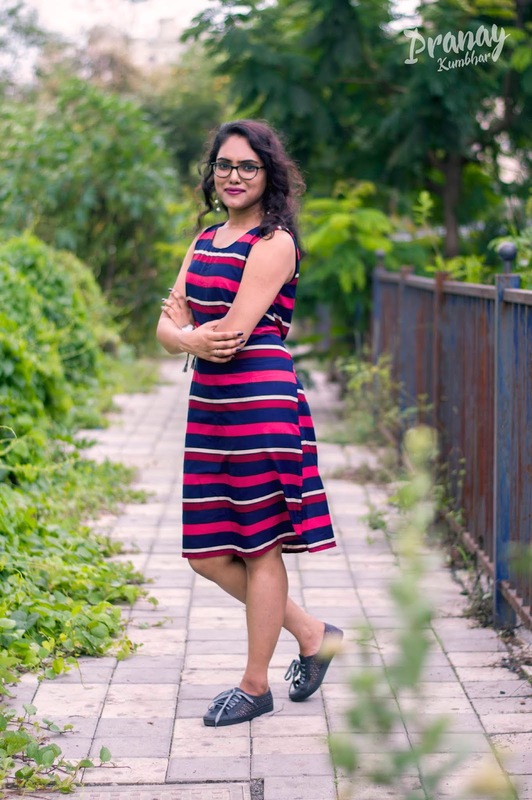 Anything that you choose to wear for this monsoon, pick the thin Silk, Georgette, or Chiffon pattern that can dry within few hours after wash. Its looks like I am trying to compete the animal kingdom like zebra or tiger in terms of appearance. This one is again bought from the streets of Bandra Market. I can't give up on this place, there are so many things to avail from these Bhaiya's. Everybody loves shopping, isn't it? Speaking about the dress I simply carry with my long dangling earrings of heart and pearl and pair of gray laced rainy shoes. As you can see I had worn all the dresses above being the fact monsoon wear. I opted for this rainy pair so that I can add up few more different colors of laces that can go well for my outfits. To find positive vibes in each little things is my soul happiness.